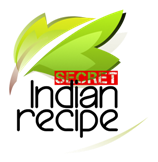 Poonam Bachhav's Secret Indian Recipe ! Sift besan, add 2 tbsp hot ghee / oil and 1 tbsp Jaggery powder(gud) to it . Using sufficient water, knead into a very soft dough. Fit the snacks maker with the disc having largest pore size . Fill it with the dough. Heat up ghee / oil in a deep frying pan and hold the snacks maker above it and press it to release enough sev . Deep fry the sev from both the sides. we do not want a very crisp sev here, also the color of sev should remain yellow , and should not turn brown( or the ladoos will look darker). Remove the sev with a perforated laddle and crush it with hand when still hot enough to handle. If the sev becomes very cold, then use a mixer grinder to crush it. Repeat the same for rest of the dough. Meanwhile in a large saucepan, take 1/2 kg sugar and add water enough to cover it. Add saffron strands and heat the pan on a medium heat. Though the recipe calls for equal quantity of sugar to besan , you can always add a little less sugar , to suit your taste. For these ladoos , we look for a two string consistency of sugar syrup. Add sliced Almonds , Pistachios and Magaj to the crushed sev . To check the 2 string consistency of the sugar syrup, take a drop of syrup on the thumb and with the index finger try to pull it, 2 threads ( strings) should appear. Another method, is to put the drop of sugar syrup into a plate having water. Try to make a ball of the syrup, if it forms the desired consistency is obtained. Put off the flame. Add the sev mixture to the syrup . Add the cardamom powder and blend very well. Once the mixture has cooled down a bit, enough to handle, make round balls ( ladoos). Allow the ladoos to cool down completely and transfer them to a air tight container. They can be stored at room temperature and stay good for about 10 days. Enjoy the delicious treats with your loved ones !